Launching their Women’s Manifesto, Irish PEN called for a protection of women’s free expression around the globe. On Sunday evening in Smock Alley Theatre, Irish PEN set their Women’s Manifesto in motion, calling for a protection of women’s free expression around the globe. Originally founded as a way to unite writers after the devastation of World War I, PEN was the first worldwide association of writers, and the first organisation to point out that freedom of expression and literature are inseparable. Now active in over 100 countries, it advocates for three seemingly simple but often incendiary values: freedom of expression, peace and friendship. “It’s vital we stand with writers whose freedoms are being threatened”, insisted current Chair of Irish PEN Vanessa Fox O’Loughlin at the event. With this manifesto, Irish PEN aims to deconstruct the walls that limit writers, walls that are built to feed censorship and stagnation. They seek to tackle the silencing of writers across the world, as O’Loughlin asserted, “the act of silencing a person is to deny their existence”. Too often, those most threatened within society are women. 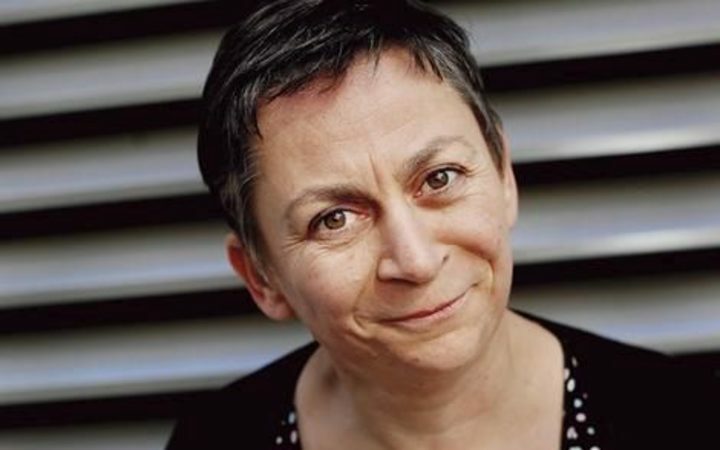 Renowned writer Anne Enright lent her support to the cause, speaking up about how often Irish writers express gratitude at not being persecuted, forgetting that those such as journalist Veronica Guerin gave their lives in pursuit of the truth. Enright touched on the issue, in her words, of how vocal, outspoken women are often perceived to be annoying. She believes that, thankfully, “at a certain age, women stop caring about playing the game and how to win, and they start telling it how it is”. Enright also pointed to the difficulties women face in their attempt to become published writers, and how their experience differs from their male counterparts. More opportunities are afforded for male writers because she believes, “men and women are heard differently when they write and say the same things”. The Booker prizewinner emphasised how often we attach varying levels of symbolism and significance to Irish male writers, while we limit Irish women writers to domestic and familial concerns. By creating the “freedom for feminine space”, Enright vowed, the Women’s Manifesto “in every context and way is looking to get under the problem of gender itself”. This view was echoed throughout the event, with Frank Geary of the Irish PEN committee believing that “the Women’s Manifesto acknowledges structural barriers and violences” that deny women their freedom of expression. Irish PEN and the Freedom to Write programme work on behalf of women in Mexico, Malta and Turkey – as well as elsewhere around the globe – to defend their right to expression. June Considine, of the Freedom to Write group, told the stories of Dareen Tatour and Zehra Dogan, both of whom were imprisoned for their art. A Palestinian poet, Tatour was imprisoned in Israel for publishing a poem entitled “Resist, My People, Resist Them”. In letters sent from prison, Tatour wrote that “imagination can never be imprisoned”. Dogan, a Kurdish painter, was jailed for depicting the destruction of the city of Nusaybin. Her story caused international outcry after her work formed the centre of a Banksy mural in New York. Dogan breached the terms of her communication ban and wrote to Banksy, smuggling a letter from her prison cell. In this letter, she told Banksy that “art is a meaning of communication far beyond language”.